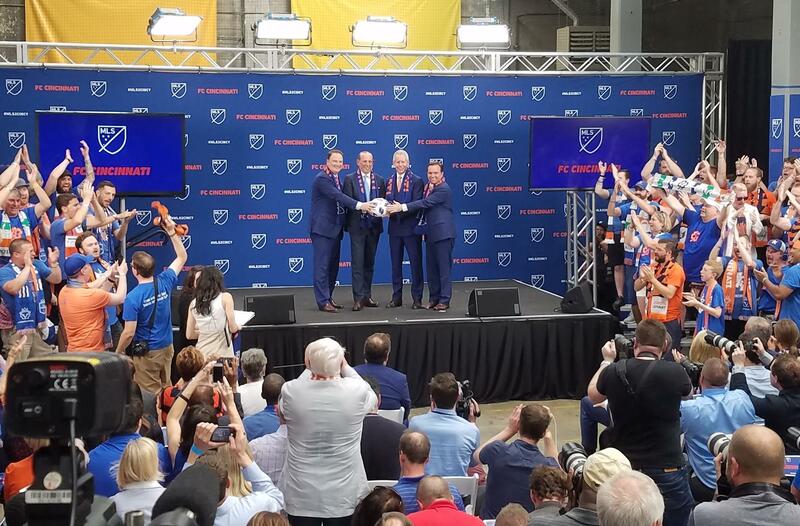 Jeff Berding, Don Garber, Carl Lindner III and John Cranley wear Cincinnati MLS scarves and pose with an MLS soccer ball after announcing Cincinnati will move to the top league in 2019. After months of political wrangling to get a stadium plan in place, Major League Soccer (MLS) is finally saying those sweet words fans have been waiting for: you're in. "You have made your city proud," MLS Commission Don Garber told fans. "Now it's time to make the rest of our country, the rest of North America, the rest of the world proud about what Cincinnati can be as one of the great soccer cities, not just here, not just in North America, but in the rest of the world." FC Cincinnati will join the topflight of U.S. soccer in 2019. Team CEO Jeff Berding and majority owner Carl Lindner III made it clear from the very beginning that joining MLS was the goal. The team is in its third year playing in the United Soccer League (USL). Fan Brad Weigel of Fairfield says the team and fans worked hard to get to this point "and this is that big award, this is that prize for us. As fans, we're just excited to keep growing this club and then expanding and leaving it to the next generation." Team owner Carl Lindner III accepts an MLS scarf and franchise from League Commission Don Garber. Planning is underway to build a $200 million soccer-specific stadium in the West End. Garber confirmed the stadium deal is what held up the announcement this long, but he's praising the West End plan. General Manager Jeff Berding confirms the plan is to begin play in the new stadium in 2021. The team has some work to do before making the step up to MLS, but Garber says "They're ready. They're MLS ready now - their crowds are MLS ready today. They're going to have a lot of work to do on the field to figure out how they go from salary budgets that are dramatically less in the current league than they will be going forward. But we've seen it (happen) before." Nashville is the other city awarded a franchise in the latest expansion round. A date hasn't been set for when the city will join the league, but it won't be 2019 like many had speculated. The franchise is dealing with its own set of stadium woes. Tuesday's announcement didn't include information on whether FC Cincinnati will do any rebranding when it joins the league. 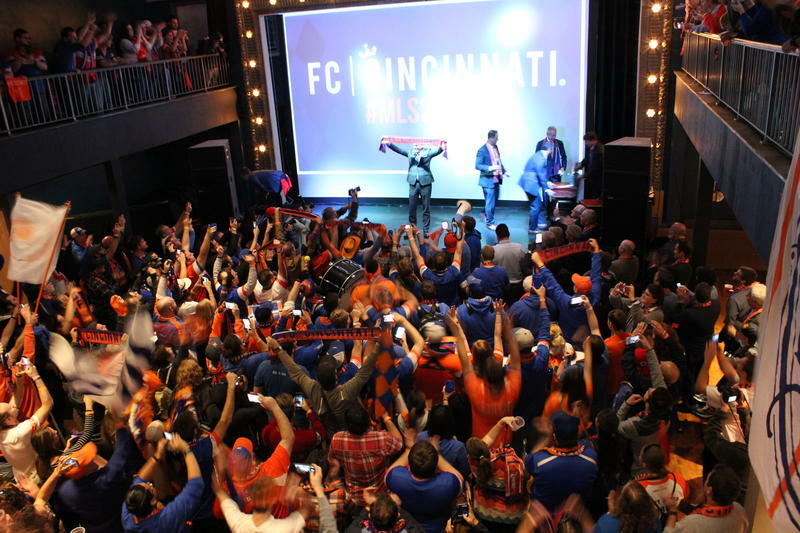 However, it already holds title to and is using the German pronunciation "Fussball Club Cincinnati" in some legal documents rather than the current Futbol Club Cincinnati. (It could also be fußball, using the German letter Eszett.) Berding said last fall the orange and blue colors will stay. When asked about a rebranding, Berding told media afterward, "stay tuned." 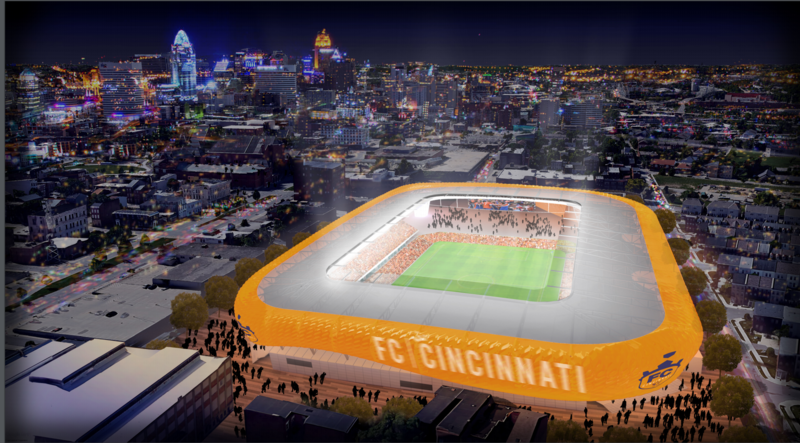 The full Cincinnati Council debated the proposal to build an FC Cincinnati stadium in the West End Monday, ultimately passing the deal in a 5-4 vote. 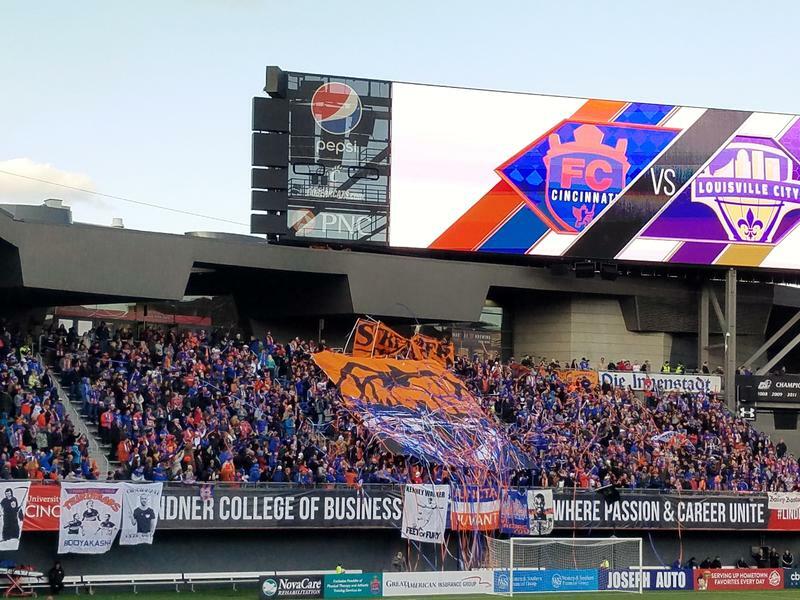 The Greater Cincinnati Redevelopment Authority is authorizing preliminary terms for financing FC Cincinnati's proposed stadium in the West End. 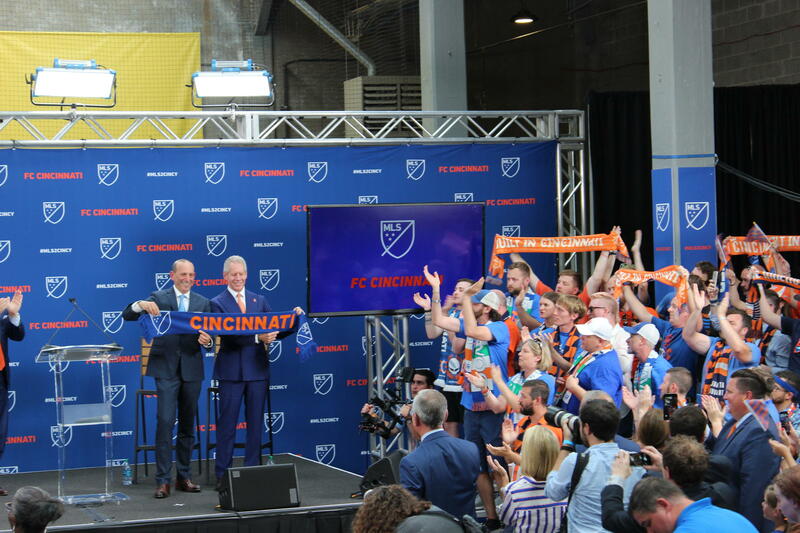 Major League Soccer's top official is praising Cincinnati and its newest sports team FC Cincinnati.